The giant B&W Sound Speaker system will be making its UK debut at the Society of Sound stage at this year's WOMAD festival in Wiltshire. 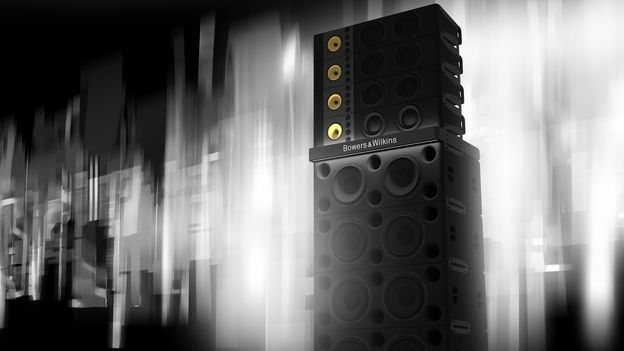 Well-known UK audio brand Bowers & Wilkins is attending the WOMAD festival in Wiltshire this year, and bringing its Sound System festival speaker along with it. The four-stack speaker system is, B&W says, the first of its kind to deliver studio-quality sound to a live audience. It featured at the Primavera festival in Barcelona last month and proved a bit of a hit with festival goers. Also, for the first time since its inception, the Bowers & Wilkins online community Society of Sound will take physical form. The community will be putting on talks, exclusive playbacks and live performances at the festival. “Our presence at WOMAD allows festival-goers the opportunity to revolutionise their live music listening experience, while also challenging them to think about the importance of sound through various workshops, demos and interactive talks” said B&W brand director Danny Haikin. “Sound System was fantastic – you could hear every detail, every beat, it was beautiful” said Primavera curator DJ Fra.